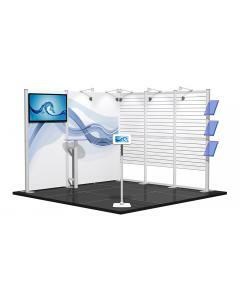 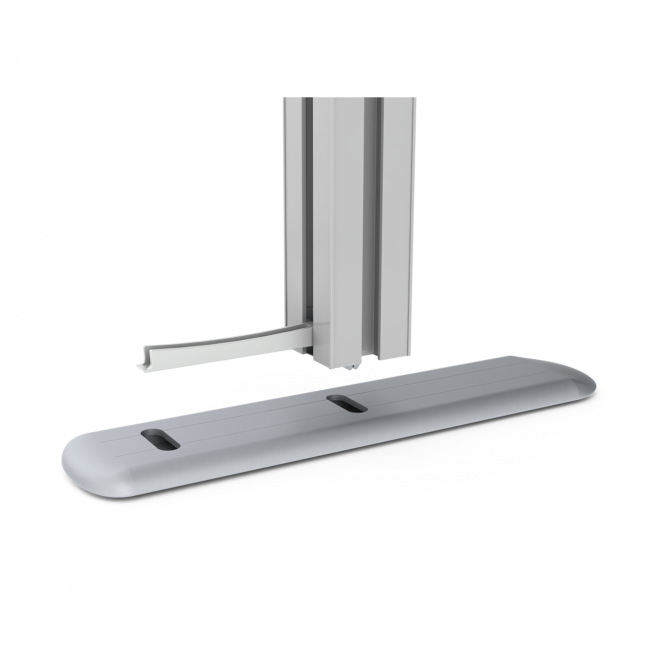 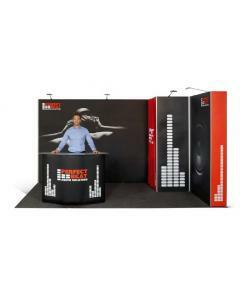 The versatile Isoframe Wave flexi-link display system has infinite flexibility and is extremely user friendly. 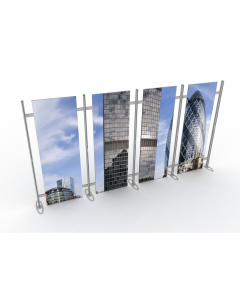 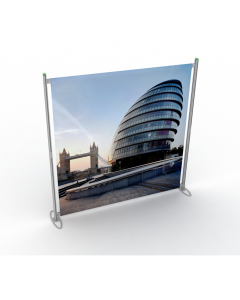 The chain-link style connectors allow you to flex the entire exhibition wall into the shape you need, extend or reduce the display width to suit any floor space and orientation. 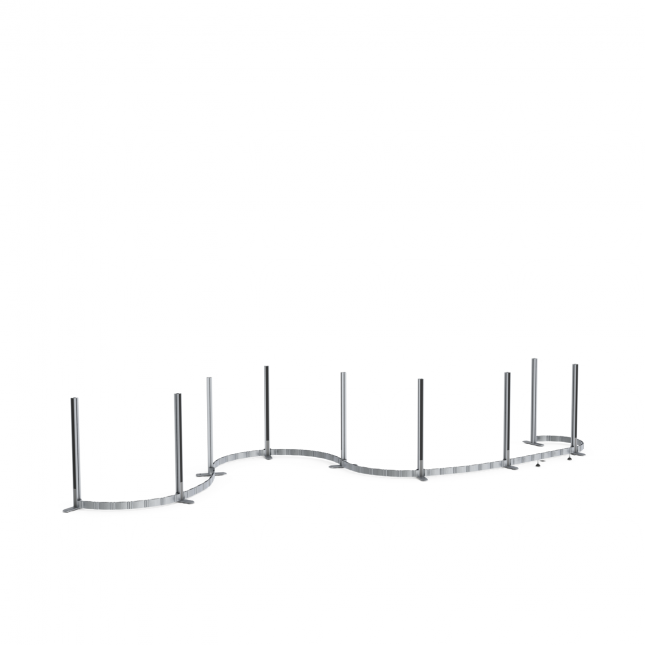 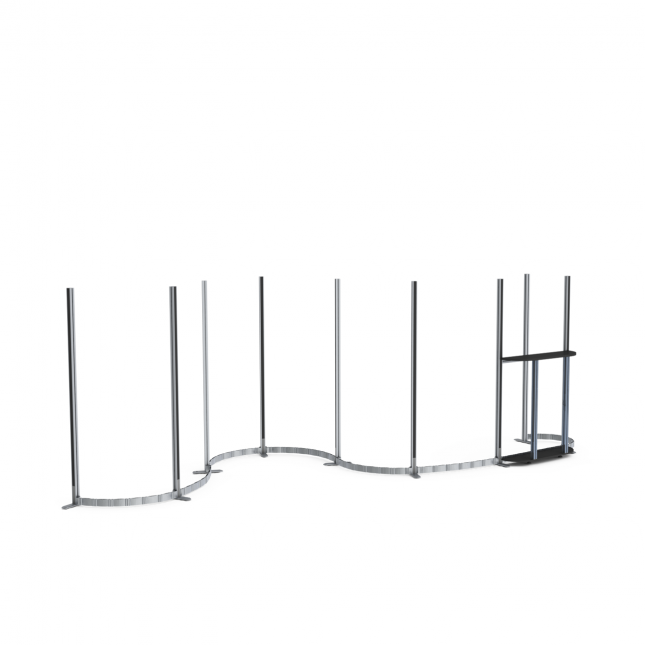 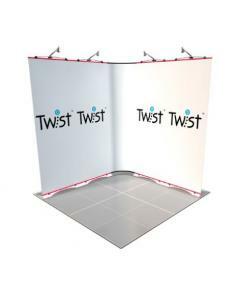 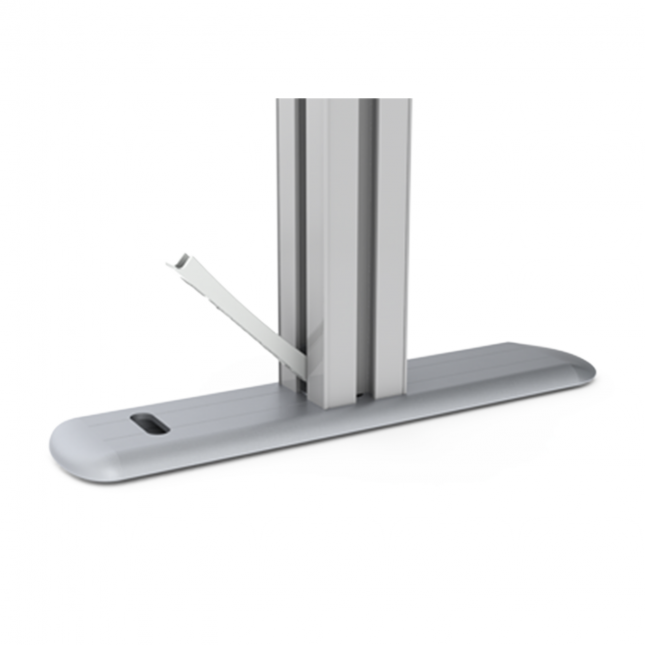 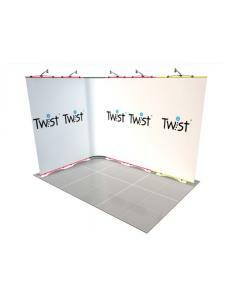 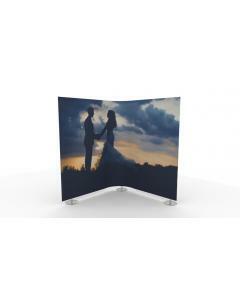 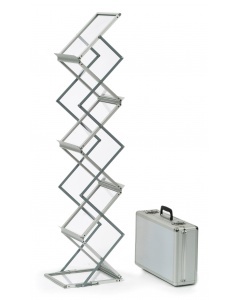 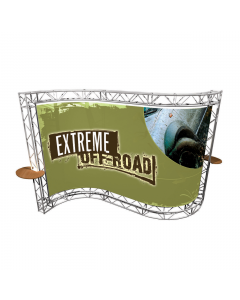 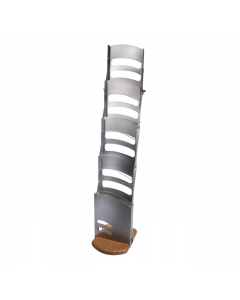 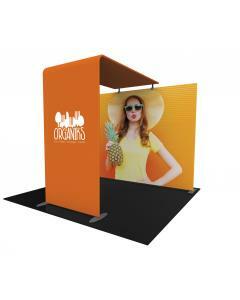 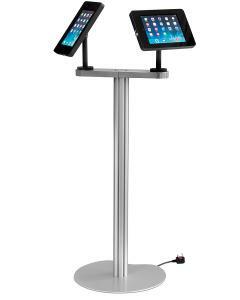 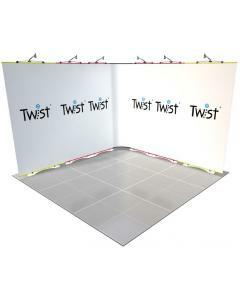 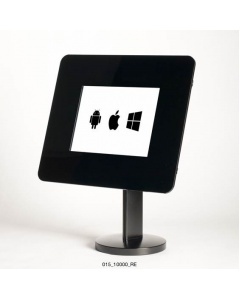 The patented Flexi-Wave link technology means the display stand can be flexed like a snake to create smooth curves. 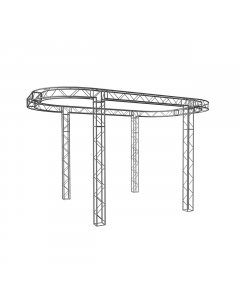 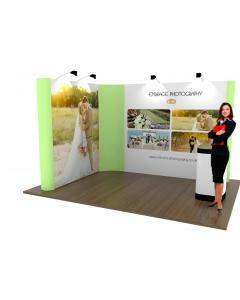 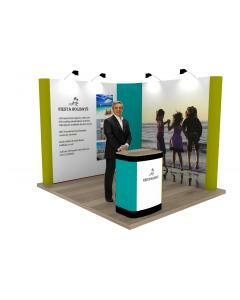 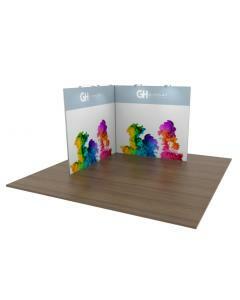 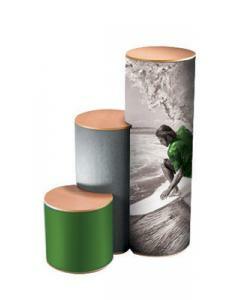 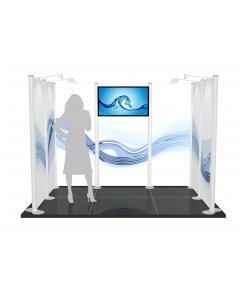 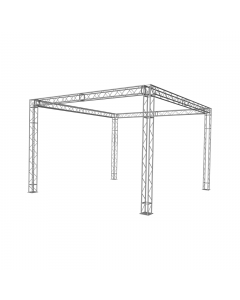 The sturdy feet ensure your stand is stable and works equally well in a space only venue or within a shell scheme exhibition space. 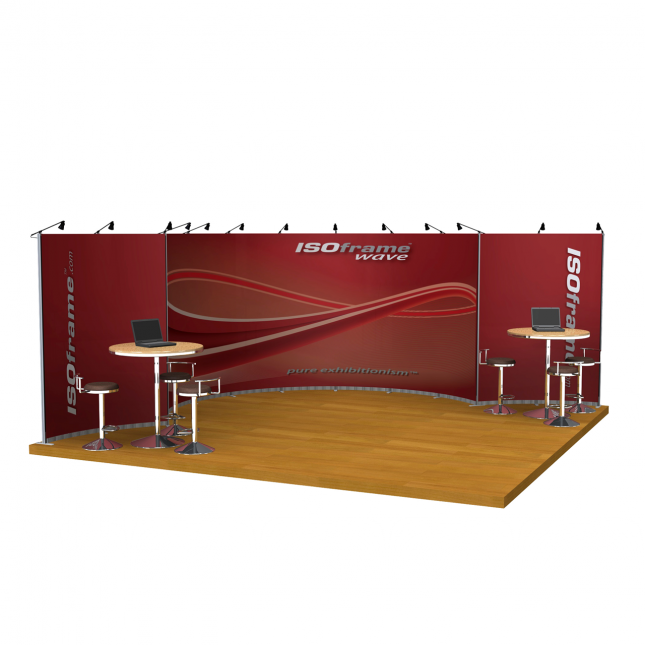 The tool-less assembly and easily transportable wheeled cases makes ISOFrame Wave a popular choice for the self-build exhibitor. 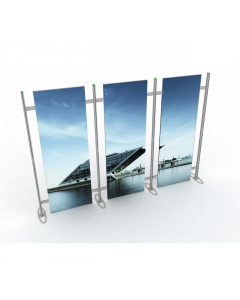 Artwork features content that flows form one panel to the next, we recommend setting the artwork as one spread that we will output into sections when printing. 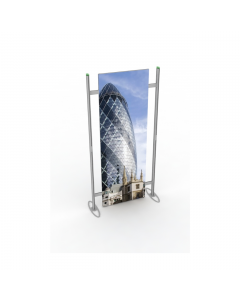 Should your ISOframe Wave artwork not contain such images or flow over the panels, then it is ok to supply artwork as separate pages.